Tags: A-line, Baraat, Deep Red, Lehenga, Wedding Outfit, White. 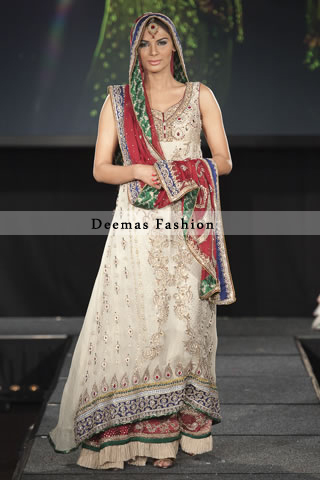 White pure chiffon A-line frock has been adorned with beautiful embroidery on neckline, center panel and side panels. Royal blue applique on the hemline. Red dupatta and lehnga.